This week has been a mad rush to get things done and ready for my One Year Anniversary at the shop and the big Light Up Night in town. I love celebrating community style. Brett Weiss is one of the owners from the premium e-liquid brand Mojo Vapor and is also very much about the community. Mojo Vapor is a top notch vendor who’s Got Boss Milk Collection line I reviewed a few weeks ago. Their master mixer uses as many natural ingredients to flavor as possible so we are getting a truly tasteful eliquid! “Our E-Liquid is made in a clean, climate controlled laboratory located in the biotech region of North County San Diego.” I can tell that they use the best. I love the labels and their logo. It’s one of the best I’ve seen to date. Looking at the bottles gives me good Mojo and I found the flavor of them all to be verrrrry tasty. So, enjoy the article and give Mojo a try…I know you’ll enjoy their flavors!! Del Mar is one of those refreshing vapes that I was actually glad to get to in my reviews. On the inhale, the mint and lime are a nice blend that hit my palate smoothly. I notice the cucumber pop in prior to the exhale, and I just love the total blend in the exhale. I vaped half of this bottle before I even wrote this review because I needed something to refresh my palate and when I read the flavor profiles for my next reviews, I knew this would not only be tasty-but do the trick!! I love how smooth this is, the mild throat hit, and the great vapor production that Del Mar puts off. I enjoyed this best around 45 watts. I’ll be using the Production RDA with a .3 ohm coil build on the Lotus LE80 for these reviews. As always, I re-wick between flavors. sweetness and a natural blueberry flavor. On the inhale, a tasty blueberry flavor blends well with a delicious, creamy yogurt that make my taste buds smile! The coconut is a subtle undertone that mixes into the exhale for just a moment to add a nice touch of flavor. This is a really yummy and smooth vape with a mild throat hit and excellent vapor production. If you are into blueberry vapes, custards, yogurts, or need something different-you must try Mojo Yoyo!! I enjoyed it at 40 watts, but also liked it all over the place. Smooth is a nicely flavored tobacco vape that I feel will tickle the fancy of many different palates. The nutty undertone in the inhale that mixes with the tobacco makes the flavor quite tasty. The caramel adds a decent touch of sweetness that doesn’t overpower the tobacco or toasted almonds. This is definitely one to rival some of the great RY4s that have the addition of caramel and vanilla. I like the nutty undertone versus the vanilla. It just works well together and the balance of flavorings is spot on. I enjoyed this best around 45 watts. If you’re looking for a delicious lemon vape, here it is!! Finally, a natural lemon flavored vape with some substance!! The lemon flavoring is SO good on the inhale, that I’m in shock. I always either get too much lemon or it tastes like furniture polish. This is the most realistic lemon I have probably tasted to date!! 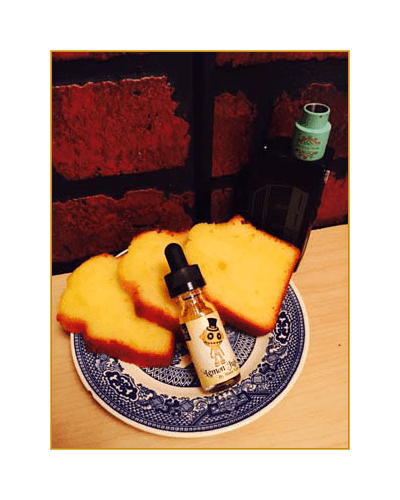 The lemon blends well with the cake notes, it’s true. The exhale is that perfect bite of lemon pound cake. There is a mild throat hit and excellent vapor production with Lemon JuJu as well. 45 watts was my sweet spot for this one. Water 101 is a blend of watermelon, kiwi, and pineapple. Water 101 is what you would think is a basic watermelon flavored vape. It is extremely smooth and flavorful. The flavor is most intense during the inhale, but carries on throughout the exhale. On the inhale, there are notes of kiwi and pineapple that blend in with the watermelon that really spruce it up and make it pop. The pineapple and kiwi also add a nice touch of sweetness to the flavor. This is a fruity vape that I would have no trouble vaping all day. The flavor isn’t in your face, but it’s very much there and also very good!!! I enjoyed this best at 45 watts. Water 101 had a mild throat hit and great vapor production. 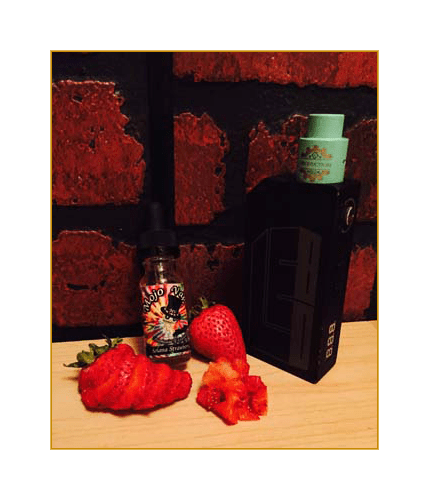 If you are looking for a strawberry eliquid that is a natural strawberry flavor, Solana Strawberry will definitely make you smile!! On the inhale, a nice, slightly sweet strawberry flavor that makes me feel as if I have just bitten into a strawberry. On the exhale, the strawberry flavor continues and fades out. Solana Strawberry has a mild throat hit and great vapor production. I really liked it with my morning coffee and enjoyed it best around 40 watts. Mojo Vapor mixes a truly premium e-liquid and depending on your palate, I am sure there is a flavor that they house that would please every palate. The premium e-liquids are available in the following sizes at MOJO VAPOR: $9.95/15ml, $18.99/30ml, and $60/120ml. Not all of the flavors are available in the 120ml online and the Water 101 is only $17.95/30ml. These are great prices for premium e-liquid. The eliquids are available in the following nicotine levels: 0mg, 3mg, 6mg. 12g, and 18mg. You can follow Mojo Vapor on Facebook and Instagram @mojovapor.